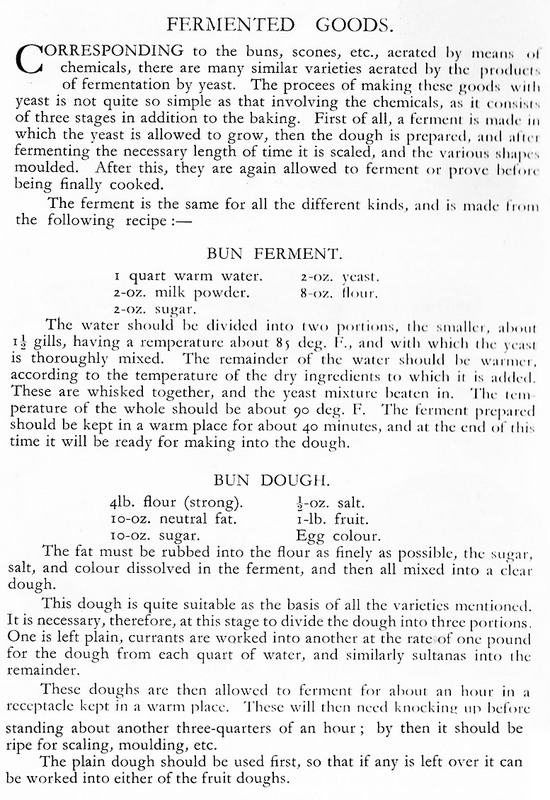 This Sally Lunns Recipe is From “Flour Confectionery” published in 1928 by Reg A. Wright Head Teacher of the Birmingham School of Bakery and Confectionery. The recipes in this book were intended for the baking trade. Sally Lunns Recipe From "Flour Confectionery"
Bun Dough Recipe From "Flour Confectionery"